High speed rails will offer an economically and earth friendly secondary mode of transportation. • Opened to the public in 1982 to shuttle passengers between Paris and Lyon, the TGV, which is French for High Speed Train, is Frances high speed rail system. It currently holds the record for the fastest wheeled train due to a controlled test run that saw the TGV hit 357 mph. Thanks to enlarged wheels, lowered axle’s and a lack of sharp turns in the high speed railing the TGV is able to hit 200 mph during normal operation. 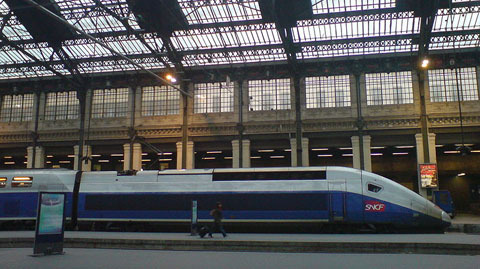 To accommodate the high traffic of people wanting to quickly travel around France and to neighboring countries, the TGV added a Duplex train. • When Spain started building their AVE high speed rail system in the late 80’s, they had plans for the line to do more than quickly shuttle people around Spain. 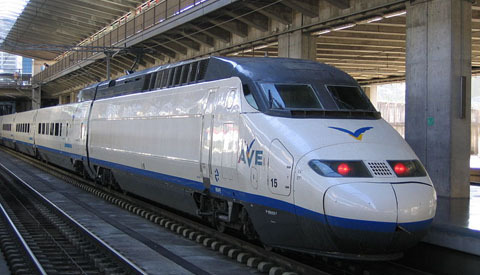 Unlike the rest of the railways in Spain, AVE can hit 186 mph and uses a standard gauge rail line making it caveman-simple to connect to other countries rail lines. And with future plans to connect to Frances TGV, they’re doing just that. • The flagship of the German national railway company, the Intercity-Express is one of the most widely used forms of public transportation in Germany. Now on their third generation of train cars, the ICE 3 is the fastest train in the system, able to hit 186 mph during normal operation thanks to a system of electrical units with underfloor motors, making them more efficient and reducing the the load per axle for each car. • Due to the fact that British Rail didn’t want to build new railways for their high speed train service, most of the UK’s train systems can’t go over 125mph. But with High Speed 1, Britain’s special purpose high speed rail, that’s gonna change in ‘09. New commuter trains capable of hitting 140mph (around the same speed as Acela trains) will be introduced on the London to Kent route. Before you go thinking that our Acela lines aren’t that bad, there are already plans for a High Speed 2 that will accommodate trains that go over 150mph. 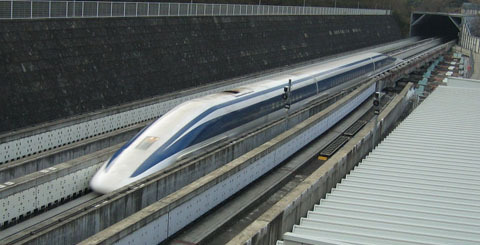 • Unlike the other trains on this list the JR-Maglev doesn’t use wheels, it uses a magnetic levitation train system developed by the Central Japan Railway Company and Railway Technical Research Institute. Although it’s currently only used in experimental conditions, the Maglev is the worlds fastest train, able to hit speeds of up to 361 mph, so you can get to LA from NY in just six hours.